Kirby and I are leaving Sunday and will stop over and stay with Todd and Teresa in Knoxville that night. We'll then ride all day before arriving BRMC. I'm out unless some window of opportunity changes this year! You all have a great time and keep the pics/videos rolling back our way! I'll do my best to document. I'm rolling down Thursday, heading back Sunday. Think Woody and Parker also on that schedule as well. Have you seen my Monkey? Heading down Thursday with Felby and Parker - not sure of the route yet or the bike I am taking. It will be a Guzzi - just not sure of which one but probably will be the Stelvio. Rode a bit over a 1000 miles I didnÂ’t leave until Thursday morning came back Saturday due weather moving in great roads always enjoy the company of the riders who make the trip! 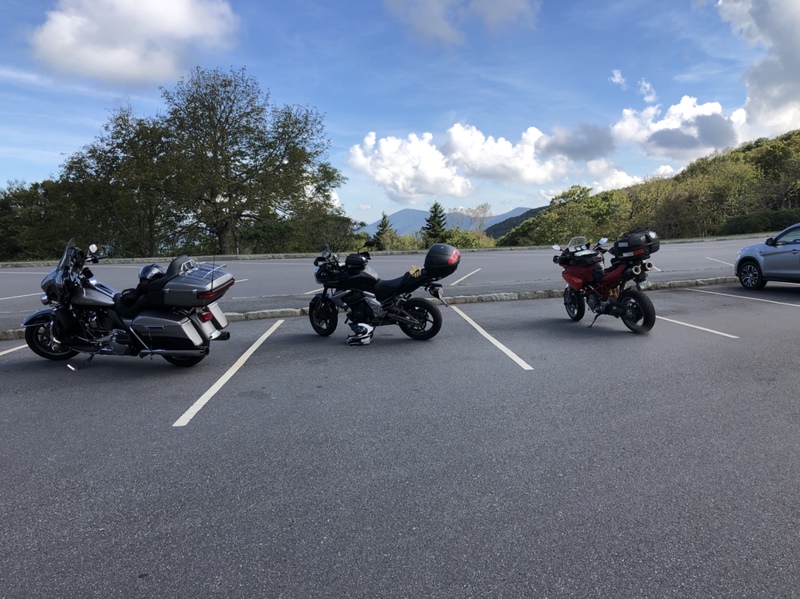 Only a few pics taken above had a relaxing meal at wicked weed in Asheville on Friday after riding brp north to ride some new roads!